Richard Walkus, a Madison, N.J., man who has a website devoted to Aibo, concurs. "They lost something," he said of Sony. "They lost stature." Richard Walkus, who with his wife, Grace, owns four Aibos and runs the popular Aibo-Life.org Web site, says he has noticed a falloff in daily visits to the site and in new listings on its birth and adoption registry. He says there were fewer people, too, at last year's East Coast Aibo Lovefest Shindig, which he and his wife organize near their New Jersey home. Walkus believes the weak economy has dimmed Aibo sales and travel to Aibo events but not owner enthusiasm for the machines. Still, he says chat forum postings reflect concern whether Sony's support for the Aibo line will remain strong. Which is no surprise to Walkus. "It's more than a computer. It's not a pet, of course," he says. "But the ability of this thing to call for response and attention somehow builds an emotional bond." "It was a very stiff legal position Sony took without regard to how it will affect the Aibo community," said Richard Walkus, a publishing house employee from Madison, N.J., who owns two Aibo robots but is now putting any new Aibo orders on hold. "Sony is to some degree undermining its own success." "Aibo is an exciting toy, but Aibopet's enhancements kept the excitement going," said Richard Walkus, an Aibo owner. "He's made tools to see what mood Aibo was in, or set it in different life stages, or have better wireless communications. There are tools to see in real time what Aibo sees, and vital signs, emotions, mood, voice recognition. 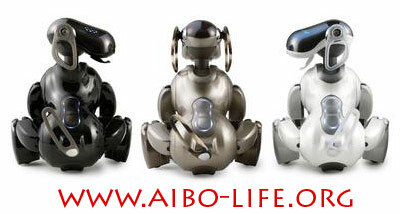 Those were enhancements riding on top of Sony's Aibo that Aibopet created." But the key thing to remember about Aibopet's stuff, Walkus said, is that all of his programs were enhancements to existing Sony software; and to use it, Aibo owners had to purchase the original software from Aibo. "My whole household is running on Sony electronics," Walkus said. "Now I will think about options. As far as Aibo is concerned. I'm hoping for some resolution -- but with time it will become just a toy rather than an ongoing project."